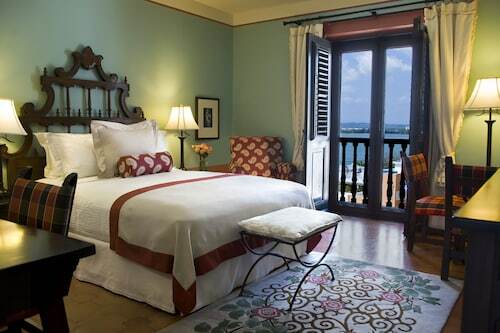 Located in San Juan Antiguo, this hotel is within a 10-minute walk of Fort San Jeronimo and Escambron Beach. 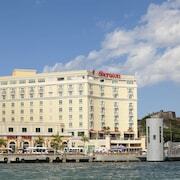 Puerto Rico Convention Center and Castillo de San Cristobal are also within 2 mi (3 km). 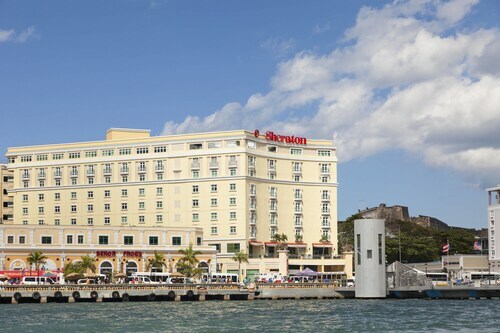 Located along the water in Old San Juan, this contemporary Puerto Rico resort is across from cruise-ship piers and 3 blocks from the massive Fort San Cristóbal. 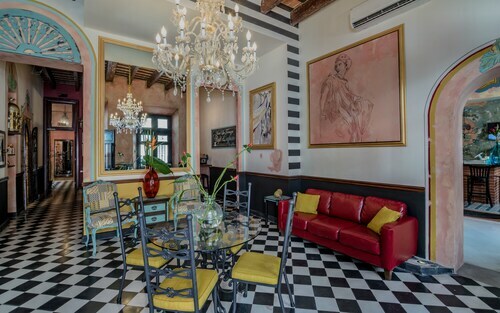 Formerly a convent dating from 1651, this boutique hotel is in the center of Old San Juan across from the San Juan Cathedral and two blocks from La Fortaleza, now the governor's mansion. 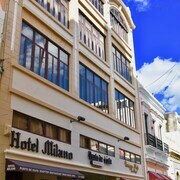 Located in San Juan Antiguo, this hotel is steps from San Juan Cathedral and Paseo de la Princesa. La Fortaleza - Palacio de Santa Catalina and Plaza de Armas are also within 10 minutes. 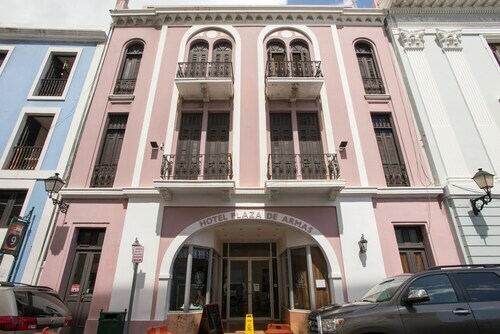 Located in San Juan Antiguo, this hotel is within a 10-minute walk of Paseo de la Princesa, San Juan Gate, and Port of San Juan. San Juan Cathedral and Castillo de San Cristobal are also within 10 minutes. 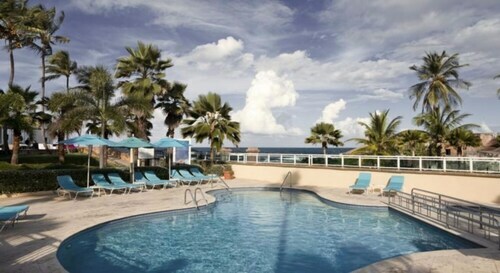 Located in San Juan Antiguo, this condo resort is within a 10-minute walk of Paseo Caribe and Condado Beach. Puerto Rico Convention Center and Escambron Beach are also within 1 mi (2 km). 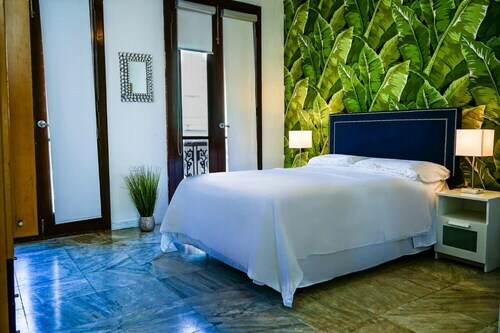 Located in San Juan Antiguo, this apartment building is within a 10-minute walk of Museo del Mar, Port of San Juan, and San Juan Gate. Castillo de San Cristobal and San Juan Cathedral are also within 10 minutes. 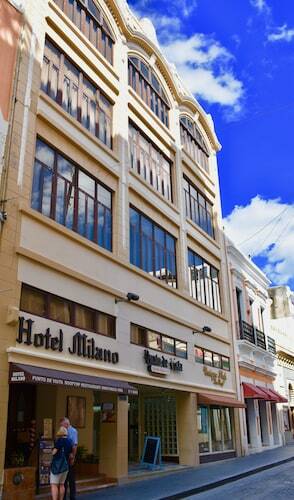 Located in San Juan Antiguo, this hotel is within a 5-minute walk of Statue of Ponce de Leon and San Juan Cathedral. San Juan Gate and Castillo de San Cristobal are also within 10 minutes. 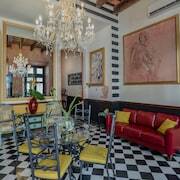 Located in San Juan Antiguo, this hotel is steps from Museo del Mar and Castillo de San Cristobal. Port of San Juan and San Juan Gate are also within 10 minutes. 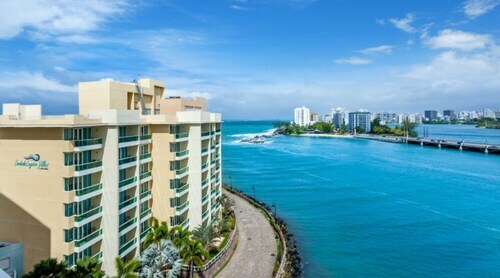 Located in San Juan Antiguo, this aparthotel is within a 10-minute walk of Paseo Caribe and Condado Beach. Puerto Rico Convention Center and Escambron Beach are also within 1 mi (2 km). Set among 17 acres of lush tropical gardens, and featuring a private beachfront location, this family-friendly resort offers spacious accommodations and a large variety of on-site facilities, amenities, and services. 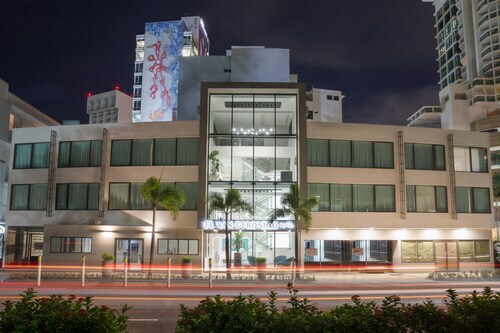 Located in San Juan Antiguo, this apartment building is within a 5-minute walk of Alcaldia, Museo del Mar, and Casa del Libro. Casa de Ramon Power y Giralt and San Juan Cathedral are also within 5 minutes. 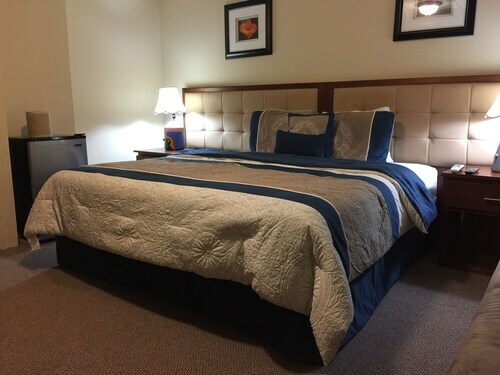 How Much is a Hotel Room in San Juan Antiguo? 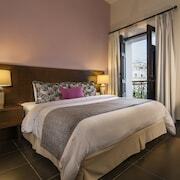 Hotels in San Juan Antiguo start at $86 per night. Prices and availability subject to change. Additional terms may apply. 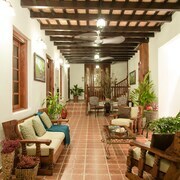 Nowhere else can you find better deals on San Juan Antiguo area hotels. You’ll find the best prices on the quirky, the haunted, the old, the new, and the legendary. If you’re wondering what side of the pricing scale some of these hotels fall on, you need not to worry. 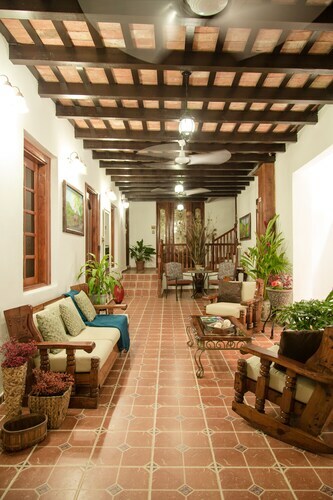 Compare cheap hotels near San Juan Antiguo to find the perfect one to will fit your budget. Leave the ordinary routine you’re set on behind and go. Go anywhere you want. Anywhere that makes you think, “I wonder what that’s like?” Part of Travelocity’s mission is to get you off-the-beaten path and the hotels near San Juan Antiguo are perfect for that. Find your new favorite watering hole on a quiet street. Discover a place to escape for the weekend with tasty local fare and unique sights. We want you to consider the places outside your normal comfort zone. Browse our selection and find the ideal hotel, in a place you’d like to explore. 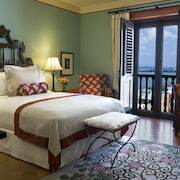 Very nice hotel and conveniently placed in old San Juan. 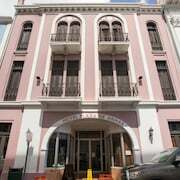 I choose this property as a crash pad in the old San Juan area, but was so unexpectedly surprised at how awesome of an experience it would be. 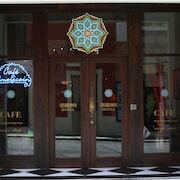 The building is old but wonderfully restored, with beautiful architecture and great service. I arrived very early, but was warmly received and provided my room ahead of check in. The staff was exceptionally warm and helpful in navigating old San Juan. 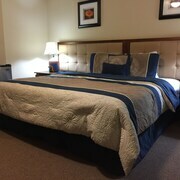 The hotel is in the center of the historic district, so its a great space in a great historic city. I loved the rooftop! And the hotel staff was amazing! My only complaint would be nothing the hotel has control over. Some of the other guests of the hotel were quite rude about the rooftop infinity pool. They ignored the capacity signage (2 people max) and let 3 of their kids splash around in the pool not 2 minutes after we had gotten in the pool.